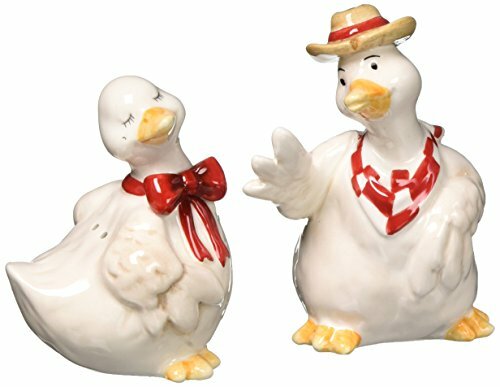 Large dinner parties are always fun--except when you have to keep passing (or asking for) the one set of salt and pepper shakers. 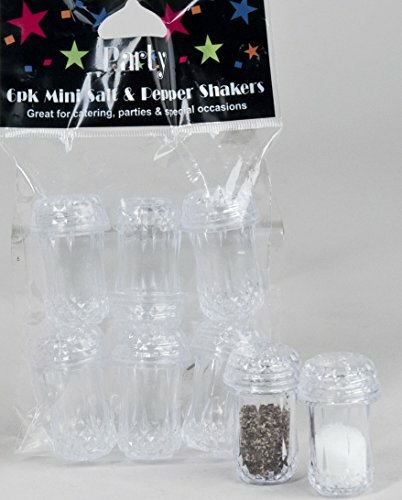 Use these little mini shakers and have a set at each end and in the middle of the table, or go deluxe and place a pair at each guest's table setting. Throw a set into your picnic basket for on-the-spot seasoning that doesn't take up valuable space. Bring a breath of fresh air to this everyday Spring offering. Serve up this season's new palette of earthy yellows, aqua and organic hues. 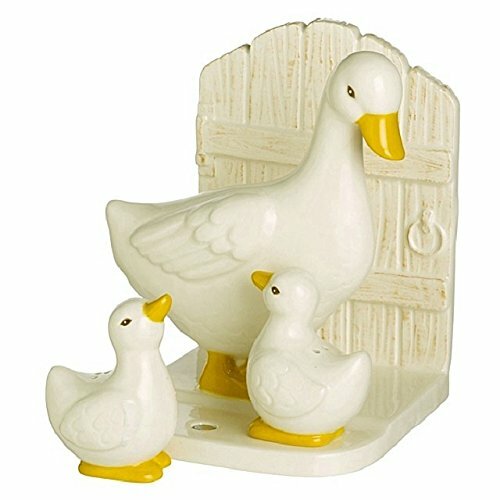 Natural petite floral make a stylish setting for open-aired gatherings and endearing duck characters bring an appreciation of farmhouse chick living. 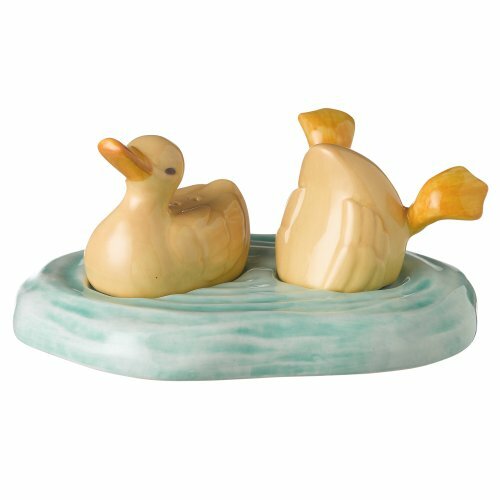 This Spring Meadow Duck Dive Salt and Pepper Shaker Set is beautifully sculpted from ceramic for lighter weight, durability and dipped in rich deep gloss glaze for sumptuous sheen and natural shading. 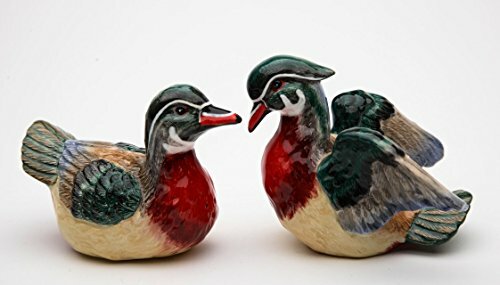 Salt and Pepper Shakers sit in 3.25 by 4.5 inch dish. Small plugs on bottom make filling a cinch. Set pictured is securely packaged and shipped in a gift box. Add visual interest to any tabletop or picnic. 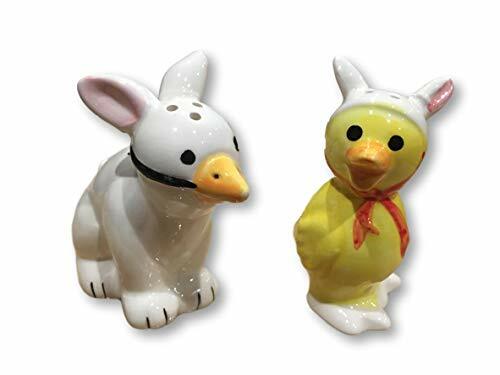 Fun and simple way to brighten up the cupboard for spring and summer season with this and other matching Spring Meadow themed tabletop decor items from Grasslands Road collection. 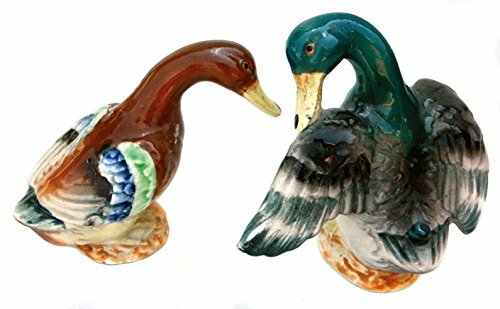 Boasting petty plumage coloring and realistic shape, this pair of mallards will make a fun gift for the hunting enthusiast or salt and pepper collector! 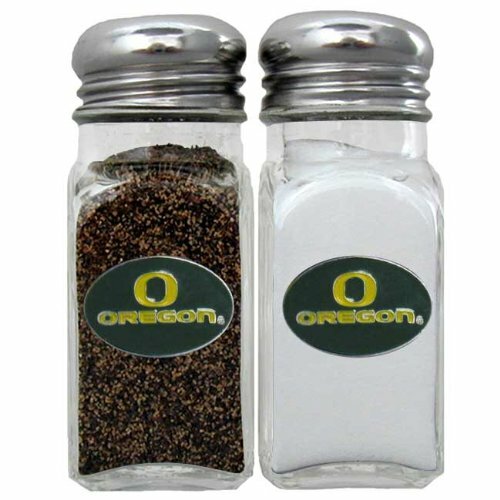 Our collegiate salt and pepper set is a great addition to any tailgating event or backyard BBQ. 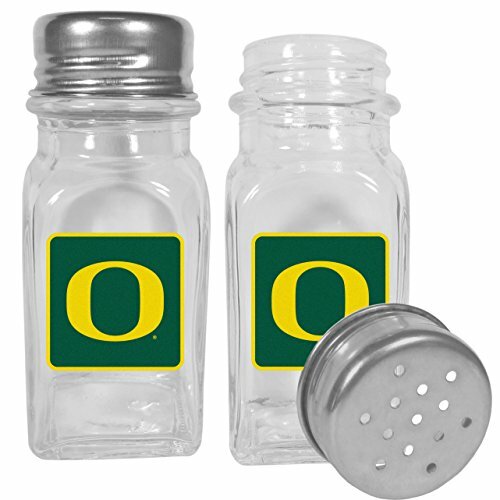 No tailgate party is complete without your Oregon Ducks salt & pepper shakers featuring bright team logos. 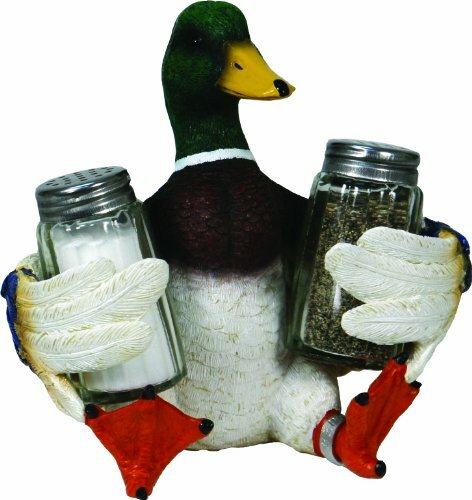 The diner replica salt and pepper shakers are glass with screw top lids. These team shakers are a great grill accessory whether you are barbecuing on the patio, picnicking or having a game day party.